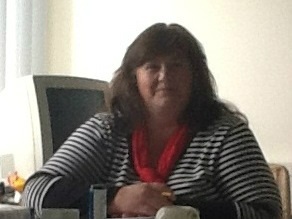 My name is Marjolein van Gennep and together with the treasurer and secretary we’re guiding the Faith Center. While doing this rewarding job, we’re supported by a group of enthusiastic volunteers. Who all have the heart in the right place. But who is Marjolein van Gennep you might ask? I’m a woman, 46 years old, and I have two wonderful teenagers. I came into contact with faith when I was 12 years old. One day my mother decided that I needed to be baptized. So that’s what I did. On a sunday I got, from Reverend Langstraat, a bucket of water over my head with the words: ‘’so, now you’re a child of Jesus.’’ That’s nice of course, but I didn’t understand a thing of it. Years later, on my 25th birthday, I got baptized like the Lord Jesus did before us. Not in the river Jordan, but in a church in Arnhem. When I was baptized, I immediately received baptism with the Holy Spirit. When I was 19 years old I had a terrible accident. They told me that I would never be able to walk again. That’s when I called upon the Lord and asked Him: ‘’ Lord, if you exist, help me to walk again.’’ I cooly told the doctors and nurses that I would leave walking, with or without crutches. Guess what.... IT HAPPENED! That was my first contact with Gods healing.